A German newspaper reported that VW CEO Matthias Mueller would ask board members to accept a voluntary bonus reduction of about 30 percent. FRANKFURT -- Volkswagen CEO Matthias Mueller will push for a significant reduction in bonuses for the automaker's management board on Monday, sources familiar with the matter told Reuters. The proposal being put forward at a supervisory board steering committee meeting follows criticism from one of Volkswagen's major shareholders, the state of Lower Saxony, about intentions to pay bonuses to top managers while the company grapples with the diesel emissions crisis and prepares to cut costs elsewhere. Bonuses for senior managers have become a flashpoint in an escalating dispute with powerful labor leaders at Europe's biggest carmaker as it prepares to finalize a new strategy. Separately, Germany's Bild am Sonntag newspaper said in an unsourced report that Mueller would ask board members to accept a voluntary bonus reduction of about 30 percent. On Friday sources familiar with the matter told Reuters that the steering committee would use Monday's meeting to discuss the emissions scandal investigation and VW's financial position ahead of its annual report, due to be published on April 28, as well as bonuses and friction between management and labor. Monday's meeting will lay the groundwork for a full meeting of the supervisory board, originally scheduled for April 20, which is due to ratify 2015 results and executive compensation. 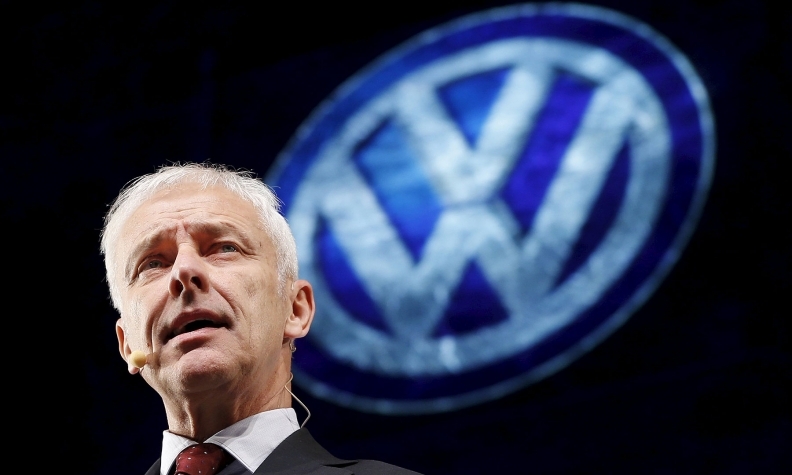 Lower Saxony, which holds a 20 percent stake in VW, has two seats on the 20-member supervisory board. Handelsblatt newspaper reported on Saturday that the full supervisory board meeting would be delayed by at least two days because talks were dragging on with U.S. authorities about how to make almost 600,000 diesel cars compliant with U.S. environmental standards.